In 2016 Marco Rubio blasted the Environmental Protection Agency (EPA) by calling it the “Employment Prevention Agency” which is exactly what it is with over reaching reaching regulations that hamper businesses. 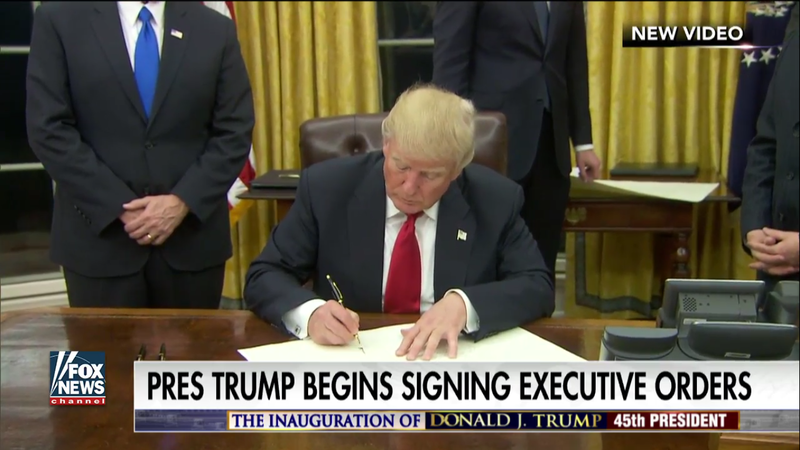 On Tuesday President Trump signed an executive order that bans the EPA from awarding any new contracts or grants. The order also bans them from posting to social media as a new digital strategist will be coming on board to oversee their social media. Emails sent to EPA staff since President Donald Trump’s inauguration on Friday and reviewed by The Associated Press, detailed the specific prohibitions banning press releases, blog updates or posts to the agency’s social media accounts. On Monday, the Huffington Post reported that EPA grants had been frozen, with agency employees barred from speaking of the matter. 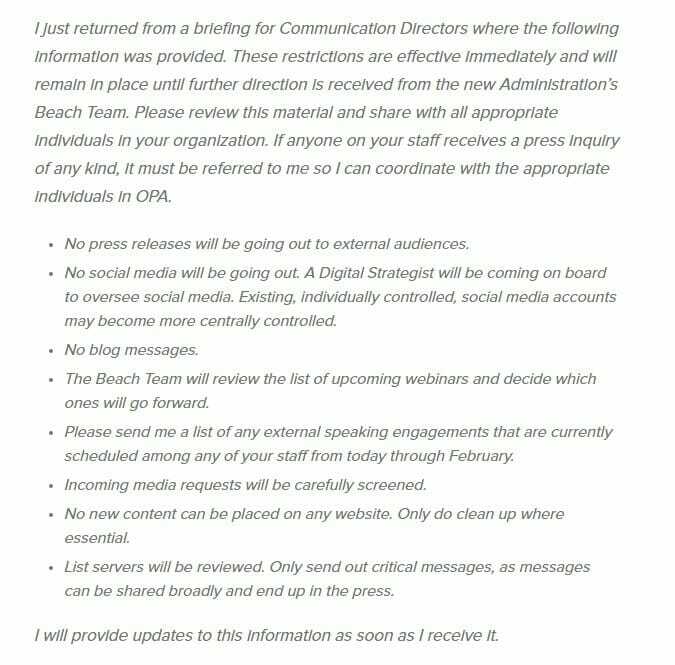 The memo ordering the social media blackout is shown below. Cited by The Hill, Myron Ebell, who leads the Trump EPA transition, confirmed the freeze to ProPublica. “They’re trying to freeze things to make sure nothing happens they don’t want to have happen, so any regulations going forward, contracts, grants, hires, they want to make sure to look at them first,” Ebell told ProPublica.